DESCRIPTION: This beautiful cake plate was made in Germany by KPM Carl Krister in the 1910s. It is crafted from fine white kaolin porcelain. 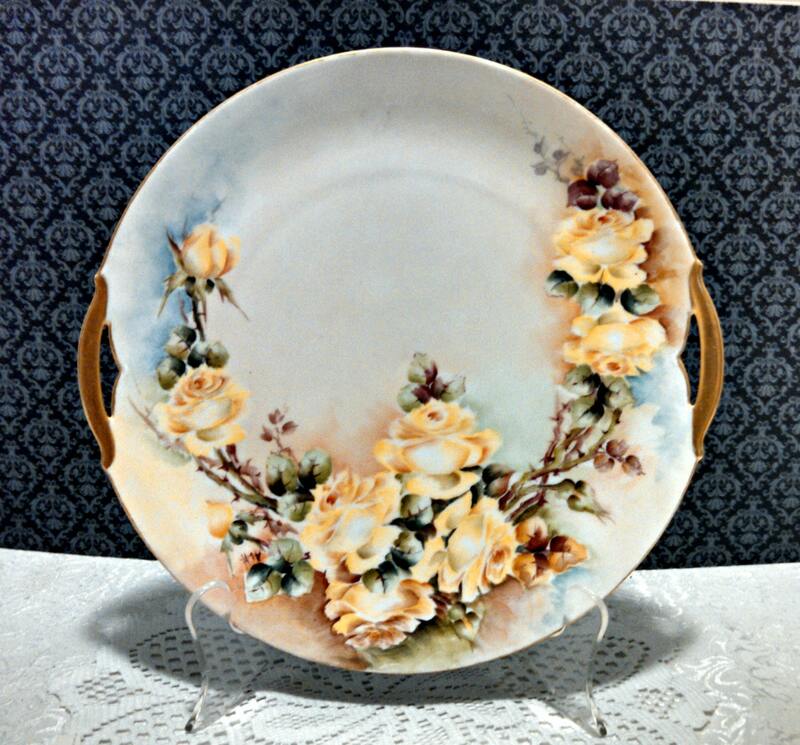 The top of the plate is hand painted with yellow roses against a very pale blue-gray background with touches of blue. The plate has two handles cut out of the plate and covered in gold. The artist's iniatials, A.L.H., are at the bottom left. The KPM mark on the back was used by the company from 1904 to 1927. Based on the design of the plate, this was mostly likely crafted during the early 1910s. CONDITION: This cake plate is in excellent condition! There are no cracks, chips, or flaws. The gold trim shows very little wear, and the roses are still vibrant. 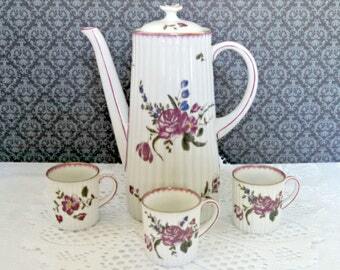 USE: This is a lovely plate to serve cakes or desserts, and would look beautiful displayed in your china cabinet. This would also be the perfect gift for a bride-to-be or someone who loves to bake.